This is the southern section of our Cape Wrath Trail. This 6 day walk starts at the remote Kinloch Horn and takes you through some of the most spectacular scenery that the Scottish Highlands have to offer, finishing where the trail passes near Ullapool. On the 81 mile route you'll find historic Jacobite battle grounds in Kintail, beautiful Caledonian Pine forest near Kinlochewe, and traverse the Fisherfields known as the last great wilderness of the UK. 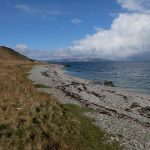 The Arran Coastal Way is a stunning circular route around the beautiful Isle of Arran. It is a challenging 65 mile trek, packed with magnificent scenery and amazing wildlife. Enjoy fabulous coastal walking around the entire island and complete the journey by reaching the summit of it’s highest mountain, Goatfell. 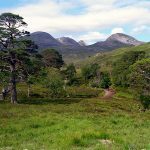 Arran is often referred to as “Scotland in miniature” and this trek certainly has a little bit of everything that makes trekking in Scotland so fantastic. 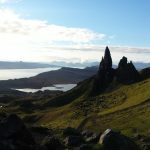 This is a seven day walk on the Isle of Skye, a beautiful, mountainous island off the west coast of Scotland. The Skye Trail is a challenging, unofficial long distance route, it is unmarked and many sections aren't even on paths. However, the challenge is well worth the effort as you will experience some of the most breath-taking scenery in Scotland. You will pass ruins of deserted villages, destroyed in the Highland Clearances. Have multiple views of the Cuillin Ridge and walk over the Trotternish Ridge. You will also have the chance to see The Isle of Skye's array of wildlife, including seals, otters and eagles. 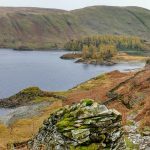 This is an 11 day walk on one of the most challenging hiking routes in the UK. Our Cape Wrath Trail is 158 miles of the most diverse walking in Scotland. Starting in Kinloch Hourn and finishing at the North West Point of Scotland, you will get to experience the most magnificent scenery, from stunning coastline to intimidating mountains and everything in between. The West Highland Way is the most famous and perhaps best loved long distance walking route in Scotland. It is 96 miles/154km in length and begins in Milngavie (on the edge of Glasgow) and ends in Fort William. 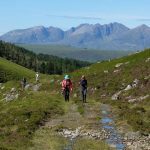 It's an incredibly diverse trail which explores some of the best scenery Scotland has to offer. 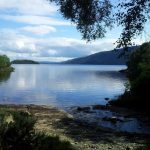 From mountains and lochs, to moorland and farmland, the West Highland Way trek really does have it all. This is the second part of The full Coast to Coast route. The holiday includes 7 days of exquisite walking through the beautiful Yorkshire Dales and North York Moors National Parks. 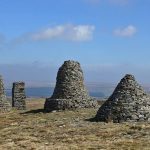 From Kirkby Stephen to Robin Hoods Bay, this 110 mile (177 km) trek offers some of the best walking in England. The Coast to Coast is renowned worldwide for its gorgeous scenery, diverse terrain and welcoming villages. The Coast to Coast (East) can be followed straight on from The Coast to Coast (West) or enjoyed in a subsequent year. Of course, there is no need to complete the Coast to Coast (West) first, this trail can be simply appreciated as a fantastic trek in itself. 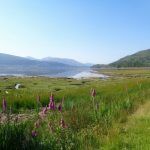 The North West Wilderness Weekend gives you the chance to walk the first 4 days of the Cape Wrath Trail, from Fort William to Kinloch Hourn. It is perhaps the most remote and wild section of the entire Cape Wrath Trail. Due to its extremely remote nature, two nights of this trek will be spent wild camping. Wild camping is camping away from all civilisation, so you will not even be on a camp site. Giving you the opportunity to really experience a part of Scotland that is otherwise inaccessible. Our North West Wilderness Weekend allows you to sample the incredible Cape Wrath Trail. The Skye Cuillin Ridge Summits trek is 4 intensive days of walking and scrambling on the 11 Skye Munros found on The Black Cuillin Ridge. A Munro is a Scottish Mountain with a summit height of at least 914m. There are 282 Munros in Scotland, and many agree that these 11 are perhaps the hardest. Due to their technical nature, these Skye Munros require a large amounts of scrambling. Connected by many narrow twisting ridges, navigation is also extremely complex. 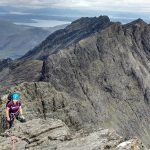 Completing all The Skye Cuillin Ridge Summits is a huge achievement and for many it is the very pinnacle of their mountaineering accomplishments. This is a 6 day walk along some of the finest countryside England has to offer. After dipping our boats into the Irish Sea by St Bees, we will journey along the first 6 days (82 Miles) of Wainwrights world famous Coast to Coast. Travelling through the heart of the Lake District, you will be inspired by stunning views of rugged mountains and tranquil tarns, and spend your evenings in picture-postcard villages. Which Trail Should I Walk?